To most, Kahmali Rose is just a Computer Science grad at UMass Boston. However, to the people who have worked with him, Kahmali Rose is more than that; he is an ambitious, interesting, and tenacious young entrepreneur. Co-founder of NimbleNotes, Rose has spent the last two years of his undergraduate career amassing a resume of experience that any undergrad, no matter their major, would love to have. He has worked in local tech companies, such as Dispatch Technologies, and has also lent his skills to the UMass Boston community as a Math/Java Tutor and Peer Mentor; all this while maintaining a superb academic record and tending to his own startup, NimbleNotes. NimbleNotes, formerly known as HazelNotes, was Kahmali and co.’s startup idea that won the penultimate business competition at UMass Boston. As Rose describes, “NimbleNotes is a collaborative note-taking platform that allows students to convert those notes into flashcards with just a few clicks of a button. Eventually, students will be able to buy and sell notes and study materials via our online marketplace. We’re currently targeting law, nursing, biology and chemistry students, based on their penchant for taking lots of notes and studying with flashcards.” While not an entirely unheard-of business, Rose says it’s a new concept and the response has been encouraging. 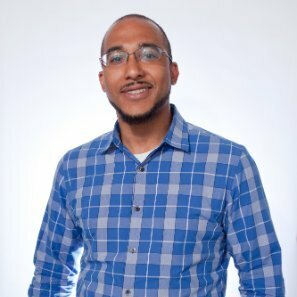 “The feedback from other students has been pretty much completely positive, across the board.” Recounting how he went from Kahmali Rose, Computer Science major, to Kahmali Rose, Computer Science major & co-founder of NimbleNotes, Rose described a journey I had heard before. It was the journey of almost every student who had made contact with the Venture Development Center.